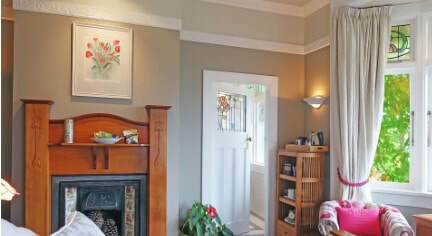 ​5 Star Boutique Accommodation Christchurch New Zealand, luxury & style near the city centre. 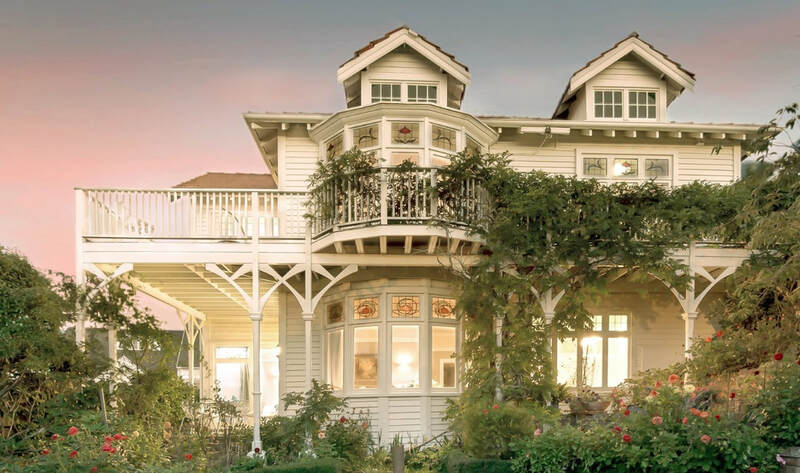 Experience the finest bed and breakfast accommodation Christchurch has to offer. 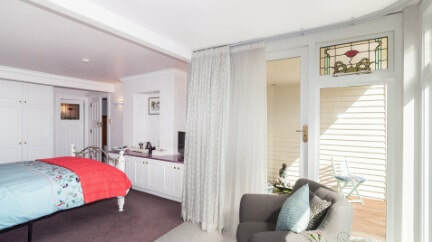 Dyers House is a small luxury hotel in Christchurch and is the perfect choice for business and leisure travellers alike. ​drive t​o the city centre and is accessible to the business hubs. Your hosts, Barry and Angela Hawkins excel in the art of hospitality! Experience their friendly service and enjoy all the amenities expected - as well as plenty of unexpected touches - to make your stay memorable. Heartfelt personal service and an easygoing at-home atmosphere. Trust us, you’ll love it. 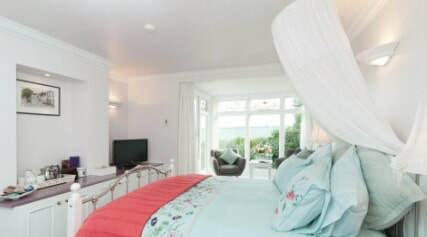 Each room is a welcoming retreat with luxurious furnishings and an en-suite bathroom, all with underfloor heating. The queen-sized beds have been carefully chosen with a refreshing sleep in mind - essential for your business trip or holiday. Corporate clients find Dyers House an ideal base for business, with three bedrooms, free wireless internet and a sitting room that can be used for informal meetings. The conservatory is ideally suited to larger meetings. ​ All within easy distance of business hubs. ​Built over a century ago, Dyers House has been modernised, while respecting its Edwardian heritage. Enjoy the charm of a bygone era with all the comforts of contemporary living. The White Room especially offers a romantic setting. 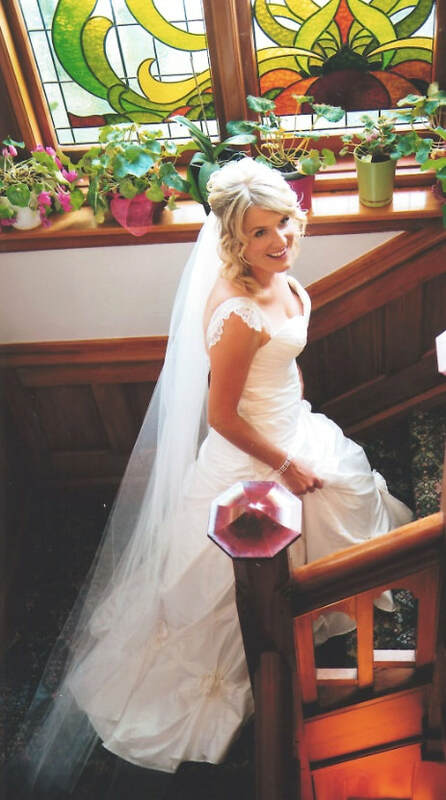 Dyers House is the perfect backdrop for wedding photography. 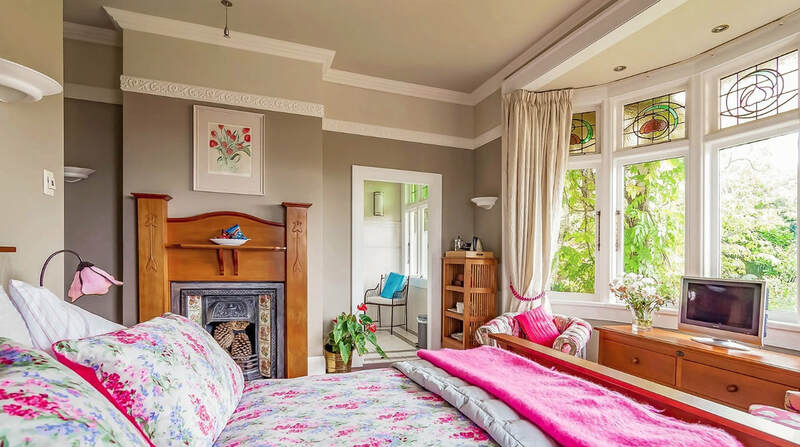 ​Thoughtful attention to detail and excellent taste can be appreciated throughout this luxury bed and breakfast accommodation in Christchurch, the Garden City of New Zealand. Now that’s what you want from a bedroom! make staying in bed a wonderful thought. in the fridge outside your bedroom door, all at no extra charge! Elegant cotton linen and a fluffy quilt in soft tones complement the garden view from this room. 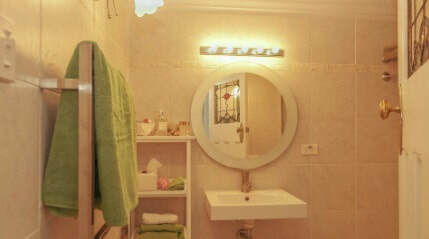 The en-suite is tiled in soft marble colours and has a large walk-in shower. ​Underfloor heating makes this a luxurious experience! The patio is a relaxed space to enjoy the garden - with an early morning tea or coffee or maybe an evening's glass of wine. Refreshed and revitalised for the 21st century. Cornices and corbels bring elements of a bygone charm to this room. Decorated in soft greys and alabaster tones it is made for relaxation. 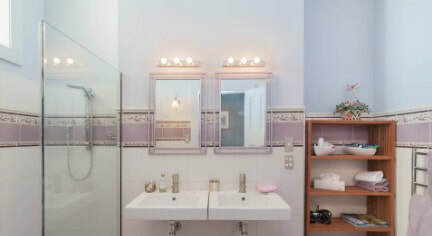 Here the en-suite bathroom gives a hint of its elegant Edwardian past. 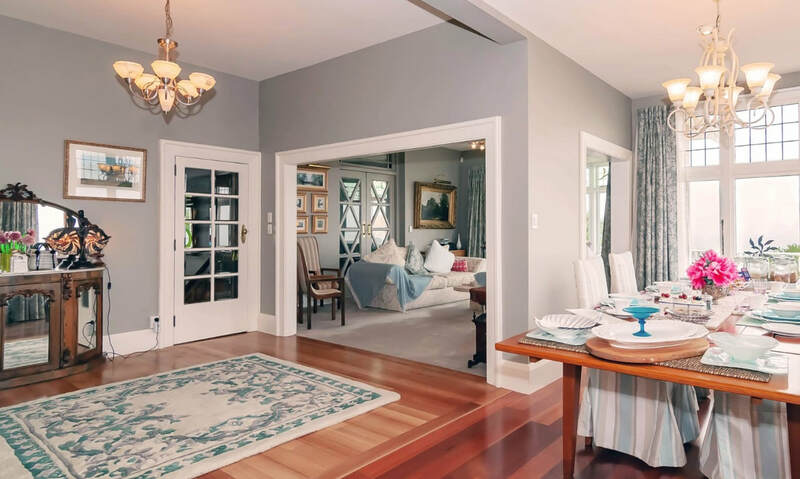 Shades of white float throughout this room, accentuated by sunny, large windows. A private patio area with a small pond is a relaxed space, quiet and sunny. A spacious sitting area gives ample opportunity to study those travel brochures and tours. 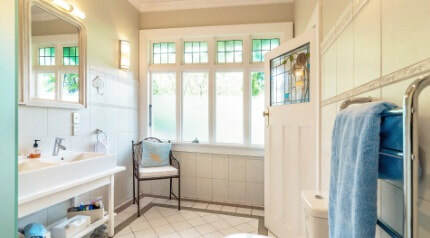 The en-suite features a large walk-in shower and luxurious toiletries by Linden Leaves. inspire both romance and relaxation. or romantic break in Christchurch New Zealand. 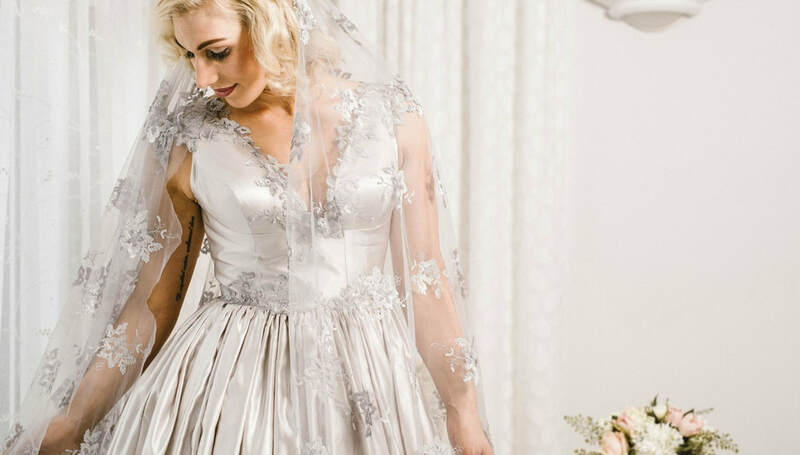 If you are celebrating an anniversary, on your honeymoon or escaping to a romantic getaway in Christchurch, Dyers House is the accommodation of choice for your special occasion. 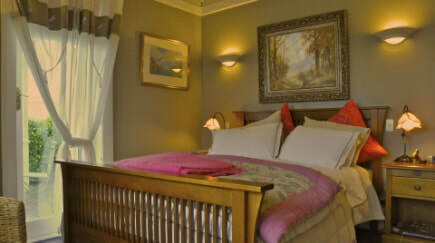 intimate and peaceful ambience is a wonderful setting for your romantic break. for a memorable photo collection. 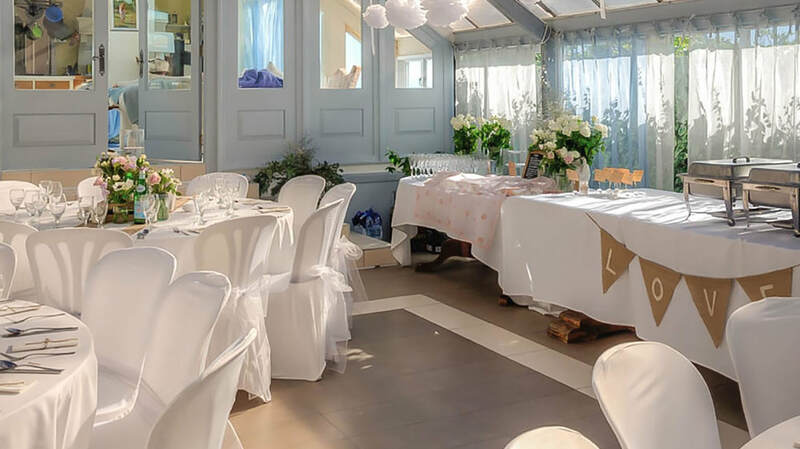 Dyers House is experienced at hosting small intimate wedding celebrations both in the garden or conservatory. As a guide parties of up to 30 would be comfortable in this setting. 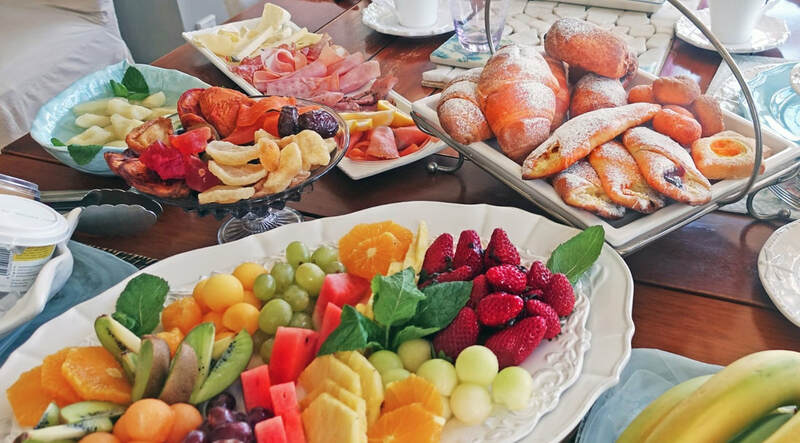 fresh fruit, chocolates and bubbles if desired. is served in the dining room with its panoramic views of Christchurch. 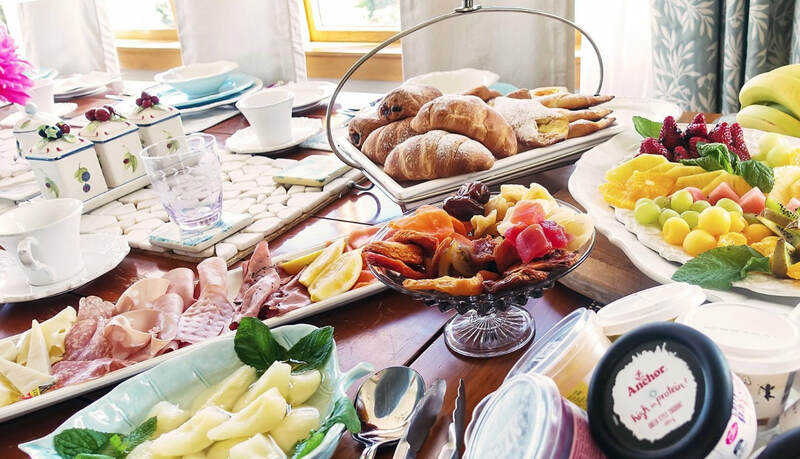 Where possible arrangements can be made for late breakfast and check out at your time of booking.